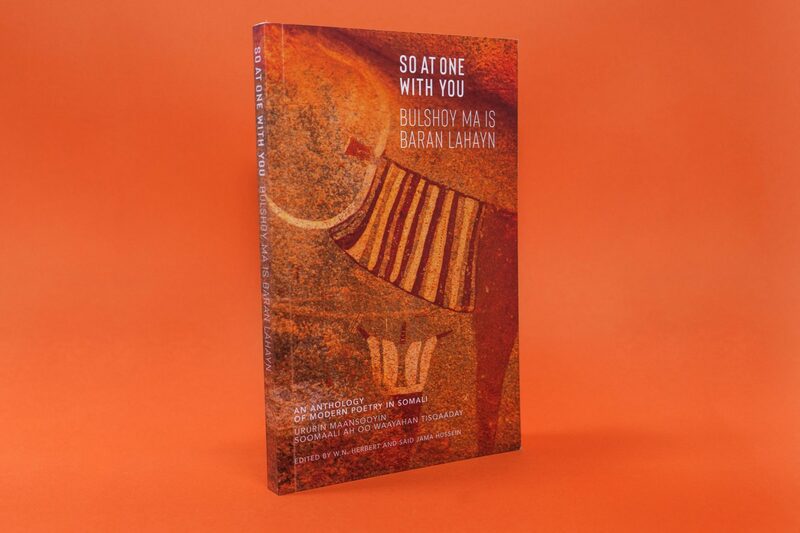 Because of our work in designing and setting books in lesser used languages, The Poetry Translation Centre approached us to design ‘So At One With You’, an anthology of modern poetry in Somali. Our brief was to emphasise the current relevance of the poetry, as well as referring to its traditional structure. With this in mind we used modern typography, combined with an almost abstract detail of traditional Somali painting from the caves of Laas Geel.